Two 12 gauge doors with lockable handle with 2 keys. 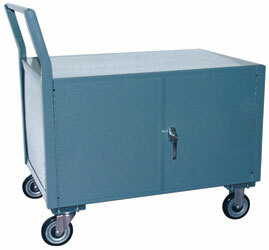 Top shelf height - 27" (31" with full pneumatic casters). Clearence between shelves - 17"